Fleet Solutions | Highway Products, Inc.
For over 40 years, Highway Products has been the premium truck fleet solution offering the most functional and reliable solutions on the road. Highway Products builds fleet solutions durable enough to withstand any beating your workforce can dish out. Hand-forged out of aluminum to a premium standard, our products are built to save you fuel, withstand the elements and yield the highest payloads in class. 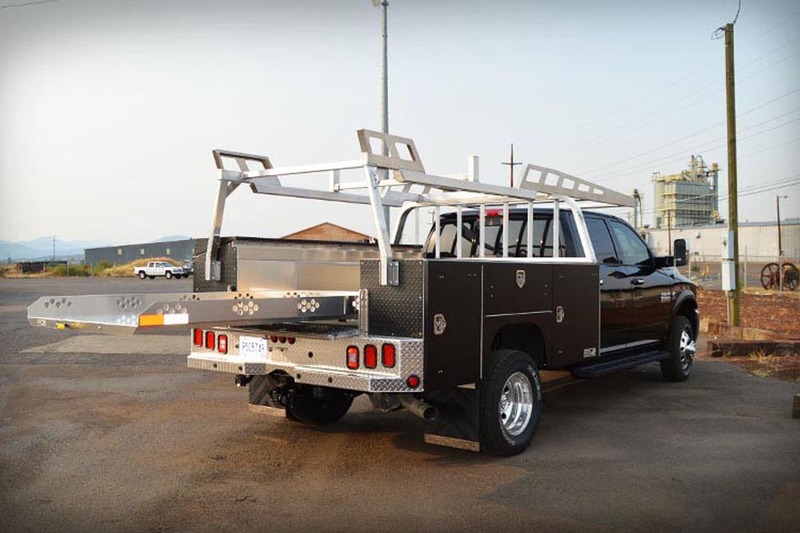 We outfit fleets in need of the simplest solutions such as quality headache racks and truck tool boxes, to fleets needing hundreds of work truck solutions at a time. Our broad product line covers the entire spectrum of what your truck fleet needs, all in one place. Always there when you need it, but tucks away when you don't. Maximize organization and productivity without sacrificing bed space. Invented specifically for customers like you! The most durable truck tool boxes on earth. Maximum storage for life on the go. Contact us today to strategize how Highway Products can assist in turning your work truck fleet into the most reliable and dependable asset in your operation. Our product specialists will help you outfit your trucks with exactly what you need to be successful and productive in the work field.